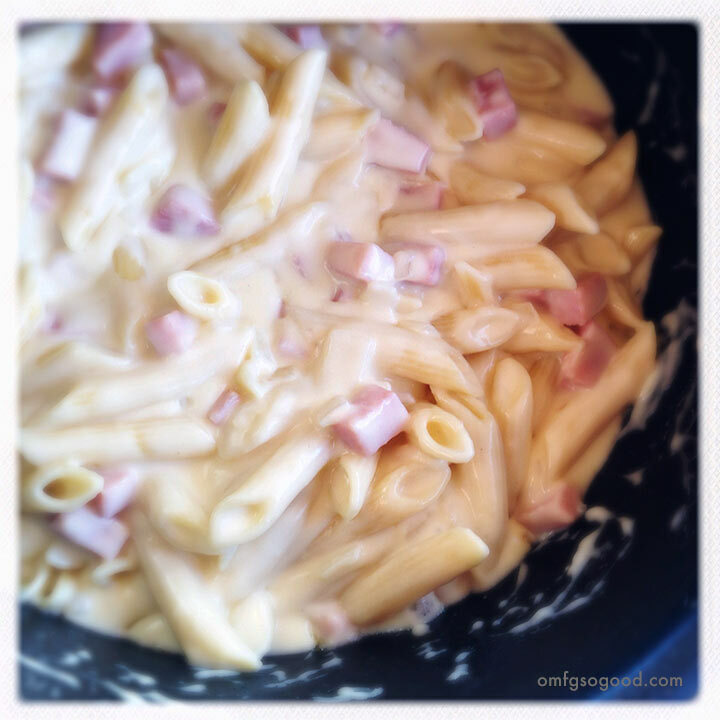 ham and swiss macaroni and cheese | omfg. so good. Seriously though, this time. Truth. It’s pure creamy, delicious, grown-up, macaroni and cheese gold. With little yummy nuggets of ham. This particular recipe was the result of one such cheese spree, when I splurged on a brick of Emmentaler Swiss that cost more than my first car. Probably. Not like this ham n’ swiss combination, which is definitely something to write home about… or at least a rambling blog post. In a large saucepan or dutch oven, melt 3 tbsp of the butter over medium-low heat, then add the flour, mustard powder, salt and ground white pepper and whisk to combine. Cook over medium-low heat, whisking constantly, for 3 minutes. Slowly whisk in the milk and increase the heat to medium and cook (still whisking) for 5 – 7 minutes, or until the sauce is thickened and smooth. Reduce the heat to low, gradually add the shredded cheeses, and stir to melt completely. Meanwhile, in a small sauce pan, melt the remaining 1 tbsp of butter over medium heat and add the chopped onion. Saute until the onions soften, then remove the pan from the heat and add the wine. Return the pan to low heat and simmer, uncovered, for around 5 minutes or until most of the wine has evaporated. 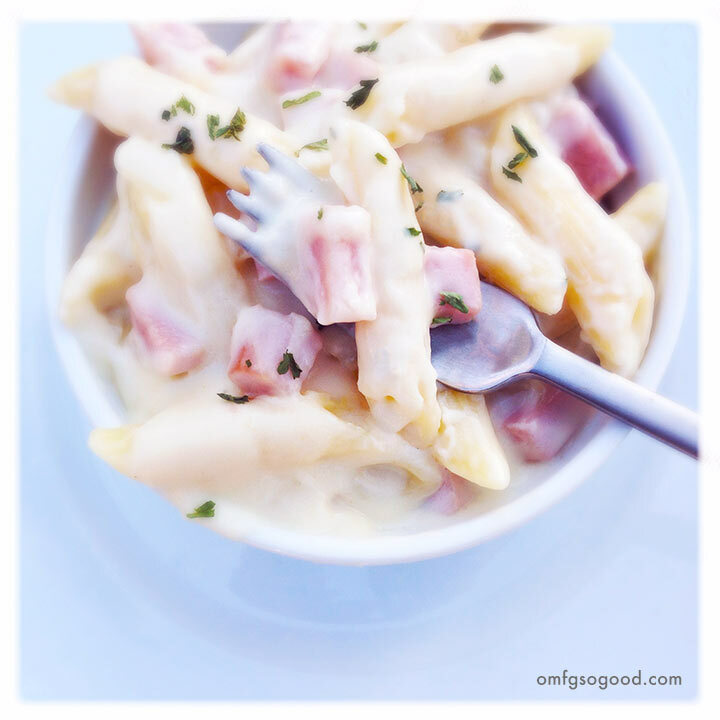 Cook until the pasta and ham are heated through, then spoon into serving dishes and top with a sprinkle of minced fresh parsley. Damn that Emmentaler Swiss. One bite, and you’ll be yodeling for more. ← your body is not a temple. it’s an amusement park. I’m making this tonight. Adding some frozen peas at the last minute.